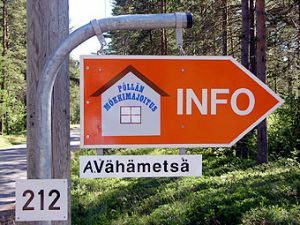 After the ferry trip you must drive about 20km through the town center and after passing the church, you must turn to left to the road PÖLLÄ 5. Then, you must drive that road for 2km, at which time you’ll see an orange sign at right (pictured below). You must turn to the direction the sign is pointing at, drive 100m to the yard of a light green house. Coordinates to the reception are: N 64 59 49 E 24 41 44. Bättre Folk cultural festival 12-13.7.2019 in Hailuoto Marjaniemi. 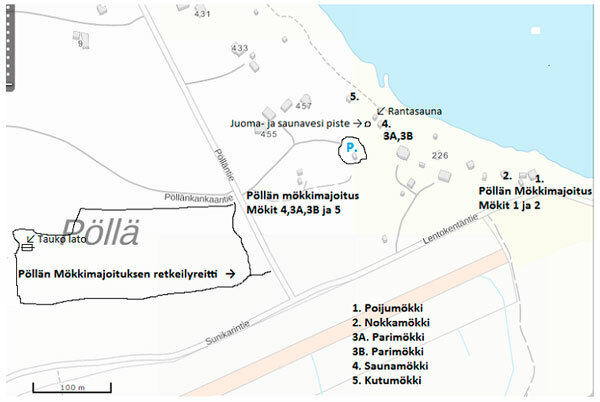 During the Midsummer and Bättre Folk -Festival prices by agreement.